Digital EYE Media is a certified Liferay partner providing high level expertise and support to clients looking for a flexible yet robust open source portal solution to fulfill their their business goals. Our team of skilled professionals are Liferay trained and certified to provide you with the high-level expertise your company needs. Liferay is a leading open source enterprise platform solution known for its high-end, lightweight and flexible functionality and scalability. Liferay is compatible with nearly all major application servers and database platforms, is easy to customize and integrate with your existing applications. Which Liferay Portal Solution is Right For Your Business? Digital Eye Media strategists will consult with you in order to identify how best to customize your website on the Liferay UX platform. Liferay is the most widely downloaded Enterprise Portal in the world boasting a strong and active community of over 65,000 members around the world. Liferay is capable of serving millions of pages to millions of users across a variety of digital devices, which makes it an attractive option for major corporations and large-scale online businesses. Liferay portal consulting services for enterprise intranet and extranet. Customization & development for Liferay Open Source solutions. Liferay tuning & assessment for maximum portal performance. 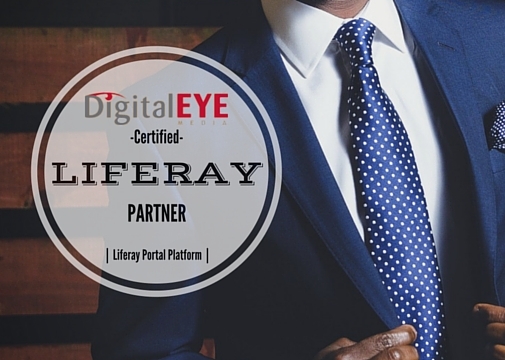 Our Liferay trained and certified experts take care of all aspects of Liferay Portal implementation on your website. Liferay has been named leader in Gartner’s Magic Quadrant for Horizontal Portals.